Ashley at The Teacher's Treasure Chest has gathered some amazing bloggers and asked for their help to support those who are suffering in Oklahoma. 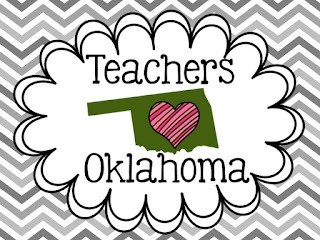 She created this fabulous Teachers Love Oklahoma package. You can click the picture below to go to her blog and find out how you can help and receive some wonderful products too! Teacher's Notebook is also supporting the victims of Oklahoma. You can click on their picture below to make a donation and receive LOTS of goodies! Hug your kiddos a little tighter tomorrow and have a happy Friday!